The Reserve Smart Strap promises to double the battery life of the Apple Watch by placing extra batteries inside the band. Even though the Apple Watch is still not available to sell, third-party accessory makers are already starting to think of some great ways to incorporate the strap into a useful accessory. This one in particular is an accessory strap called the Reverse Strap that has embedded batteries in the band so it will charge the watch while you wear it. 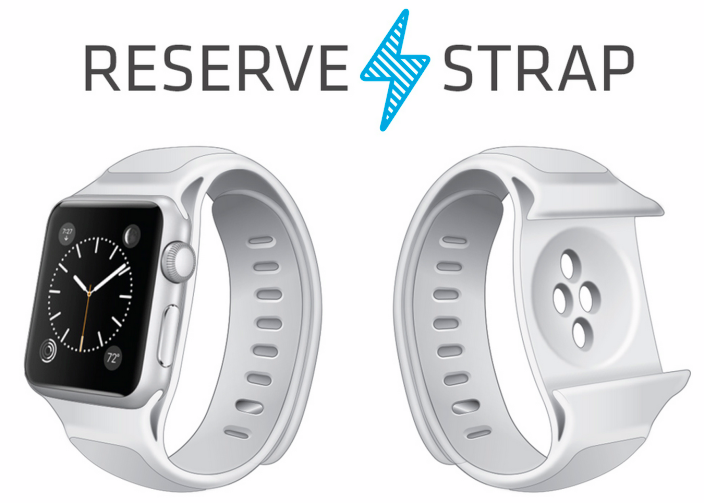 The Reserve Strap is still an early prototype, but is already accepting pre-orders on its website for $249. It seems expensive considering the base model Apple Watch will only cost $349. The company also doesn’t have a timeframe for its release yet. The band will have embedded batteries and utilize magnetic inductive charging similar to the new MagSafe wall charger for the Apple Watch. We don’t have hard numbers yet but based on current testing projections, we believe we will be able to increase the battery life of the Apple Watch by up to 125%. The number of "smart straps" such as battery straps to increase the life of the Apple Watch battery will keep growing. The battery life of the Apple Watch has been a big concern for many people as it's only expected to provide 24 hours or less depending on use. Apple has also started they will include a "Power Reserve" mode on the device that disables notifications and only shows the time in order to conserve battery life. There will be plenty more accessories and docks released for the Apple Watch including a handlebar bike mount, charging stands, docks, and protective cases or "bumpers". 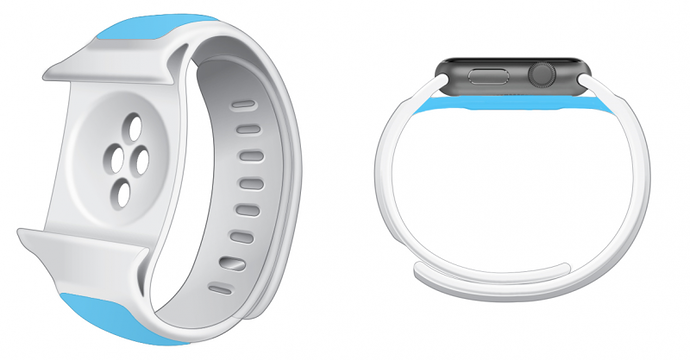 Apple will also sell their own Apple Watch straps as separate accessories.